Les Voiles Latines Regatta in St Tropez, May 2018 was a great success! 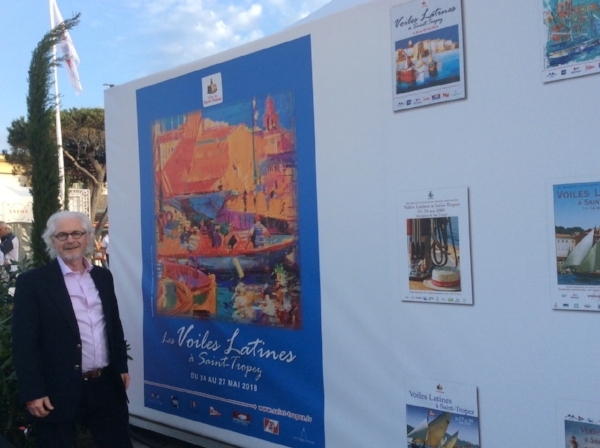 I was delighted to meet the Mayor of St Tropez, Jean Pierre Tuveri, as Offical Artist of 'Les Voiles Latines' at the awards ceremony. My new painting Port Promenade, St Tropez - the official image of the regatta - displayed throughout the famous port. It is with great pleasure that I bring to you my new website! I will be posting regular updates about my work past and present, artists of inspiration, my thoughts on all things art and much, much more!